Complete Security and Sound will work with you to determine the best solution for your home entertainment needs. 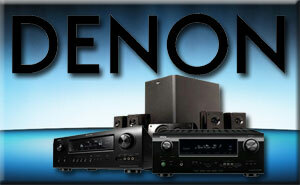 We set up and install surround sound systems to fit any budget. Today people care about the quality of sound and spend a lot of time looking for the best speakers. Ceiling speakers are ideal for people wanting great quality sound for their surround system and music speakers throughout the home. Once installed, ceiling speakers disappear from view and do not take up valuable space in your home. Complete Security and Sound blends the sounds you enjoy with the life you live - beautiful music, important news, the weather, traffic, even talk-radio, in every room of your home. To hear conventional cabinet speakers you must stay in front of them, confined to the room where they are. In-wall and in-ceiling speakers allow you to listen to your favorite CDs, records, MP3s and radio anywhere living takes you. In the bathroom, in the shop or sewing room, while dining or reading the paper, when baking cookies, writing a letter, reading in bed or working on you car, you'll have the entertainment where you want it! These speakers blend with your ceilings and walls, being less obtrusive than air vents or ceiling lights. 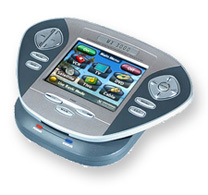 We can install systems that bring sound to every room of your home with individual controls. We specialize in Speaker Craft speakers. These speakers are state-of-the-art and will provide years of quality sound for your home. 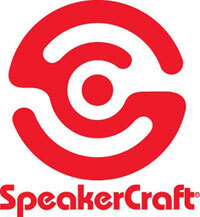 Speakercraft is the industry leader in custom audio speakers. Their speakers are sold by the highest percentage of custom installers in the US. They are the company that invented in-wall speakers. Besides amazing quality, Speakercraft is known for a wide variety of speaker types and sizes to meet any installation job. The make a wide variety in-wall and in-ceiling speakers, subwoofers, outdoor speakers, box and tower speakers, along with supporting electronics such as speaker selectors, I/R kits and whole house audio.